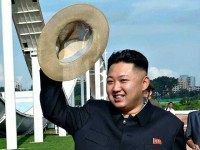 North Korea’s state news service KCNA issued a vocal defense of its abysmal human rights record on Tuesday, alleging that “socialist Korea” presents “a good example in guaranteeing the genuine civilization and human rights” in contrast to the free societies of the West. 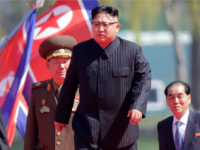 North Korea’s state news service, KCNA, issued a vocal defense of its abysmal human rights record on Tuesday, alleging that “socialist Korea” presents “a good example in guaranteeing the genuine civilization and human rights” in contrast to the free societies of the West. 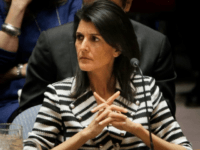 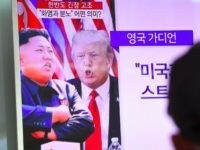 North Korean state media warned America against “stupid behavior” in a piece Thursday after claiming that the U.S. has boasted of the efficacy of economic sanctions. 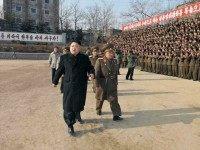 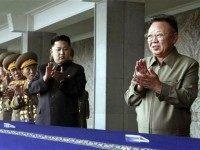 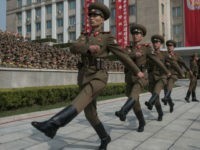 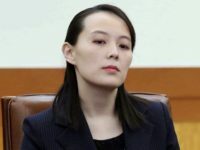 North Korea’s Media Rail Against ‘Globalization,’ ‘War Merchant’ U.S.
North Korea’s state media – run by head of Propaganda and Agitation at the Korean Workers’ Party, Kim Yo-jong – took a rare stab at the Chinese government for allegedly “seriously spoiling the atmosphere” of a meeting between North and South Korean officials. 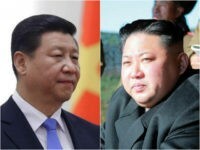 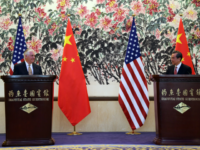 Chinese President Xi Jinping told reporters while meeting Secretary of State Rex Tillerson in Beijing last week that he expects President Donald Trump’s visit to the country to be “special” and “wonderful,” an outpouring of positive sentiment at odds with the consistent criticism of the United States in communist state media. 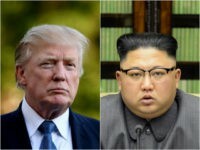 North Korea’s state newspaper claimed on Friday that nearly five million citizens “volunteered to join or rejoin in the Korean People’s Army” in the past week, looking to fight against President Donald Trump. 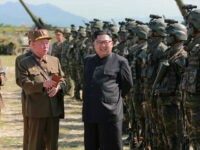 The former head of South Korea’s intelligence agency, Ra Jong-yil, claims to have evidence that North Korean dictator Kim Jong-il did not plan to leave his son, Kim Jong-un, in charge of the country, but a combination of infighting between an appointed committee and the younger Kim’s efforts to cement his hold on power resulted in his rise to leadership.